The Ivory Graphic collection has beautiful cover designs featuring both linen and glossy finishes. The Ivory line of notepads and notebooks by herlitz are excellent for everyday use however using it with medium or bigger nibs might result in feathering. 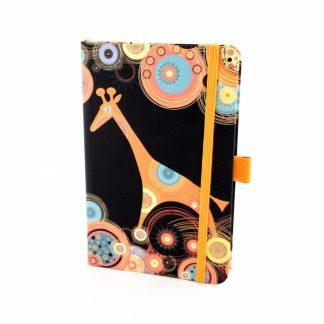 Each features a beautiful design that makes these notebooks stand out from the crowd. The paper weight is 80g/m2 and the notebooks are manufactured in Italy. Inside you can find ivory colored paper (as the name already suggests), on the first page there is a small lined section for your name and address as well as herlitz branding at the bottom. The notebooks feature a ribbon bookmark and a pen loop to hold your writing instruments. The notebooks come in two sizes, 13×21 cm and 9×14 cm with the standard lined, graph and blank paper rulings with 240 and 192 pages respectively. The herlitz Ivory Collection has four subcategories that all feature unique designs and colors to them: Animals, B-Band, Graphic and Nature.